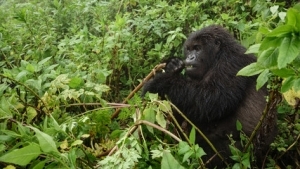 The 4 Days Uganda Gorilla Trekking Tour is one of the wonderful Uganda gorillas trekking tours organized to allow you to explore highly rewarding activities in Bwindi Impenetrable National Park. 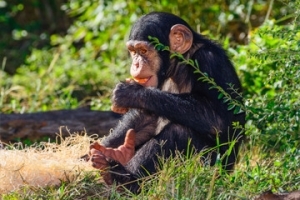 The 4 days Uganda gorilla trekking tour will offer you a golden chance to encounter Lake Bunyonyi-dubbed the Switzerland of Uganda, Bwindi Impenetrable National park-natural home of the world’s critically endangered mountain gorillas. 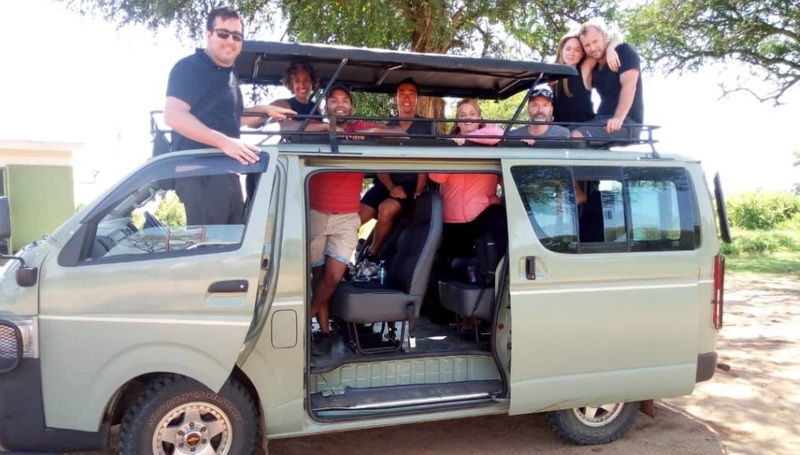 The 4 days tours will combine Uganda’s most elegant tourist activities with unique cultural experiences and taste of world class services from some of the finest lodges/hotels in Uganda. 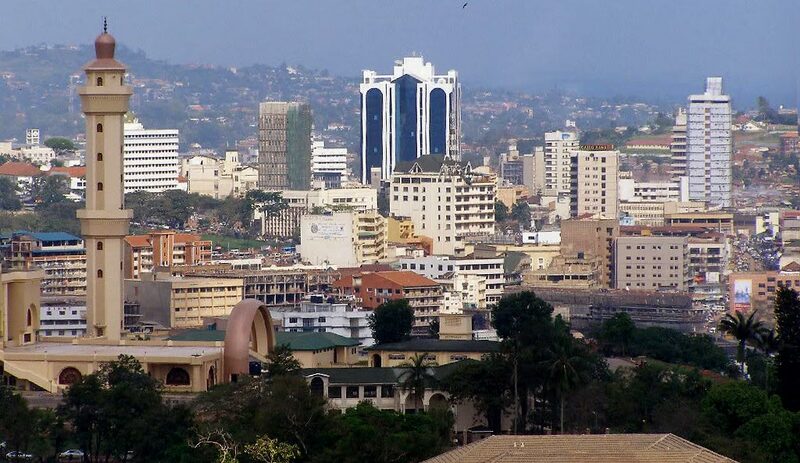 The four days Uganda gorilla tour will start and end in Kampala -the Capital City of Uganda-the pearl of Africa. Day 1 of the 4 Days Uganda Gorilla Trekking Tour: Transfer to Bwindi Impenetrable Forest National Park. Early in the morning, you will be picked up by our experienced driver guide in your Kampala lodge/hotel and embark on the transfer drive of 527kms about 9-10 hours’ drive to the southwest part of Uganda. The long journey to Bwindi Impenetrable National Park will take you through Mpambire Drum shop and the Uganda Equator crossing Kayabwe, where you will have stopover for marvelous water experiments and amazing photo shots. 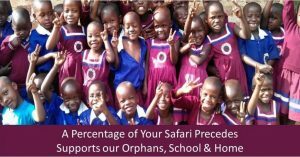 After a perfect stop over at the Equator, you will continue with highly rewarding drive through the farmed hill sides and the urban environments of Masaka to Igongo. Have stopover at Igongo cultural center strategically located just 12kms to Mbarara town for Ugandan traditional lunch. The delicious meal served at Kahwa Kanuzire restaurant in Igongo will give you a real taste of Ugandan traditional cuisine. 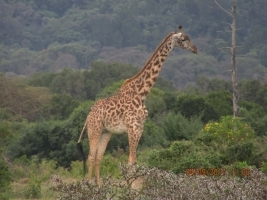 There after Lunch, proceed through a breath-taking scenic view popularly known as the “Switzerland of Africa” to the Bwindi Impenetrable National park. On arrival to the park, you will drive direct to your lodge to check-in, have dinner and overnight. 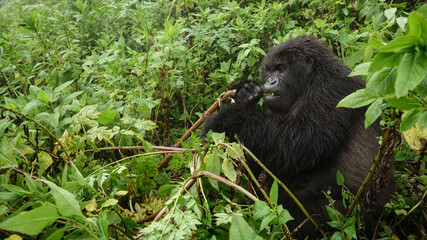 Following your early morning hefty breakfast, your driver guide will transfer you with your packed lunch, bottled water, to the Park head Quarters in your respective gorilla trekking region for an early morning briefing at about the dos and don’ts of gorilla trekking in Bwindi Impenetrable Forest. 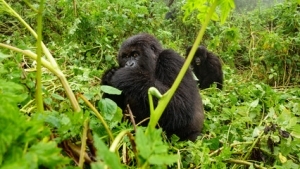 While at the park headquarters, you will meet other trekkers and you will be divided into groups of eight individuals who are only allowed to trek one specific habituated Gorilla family. 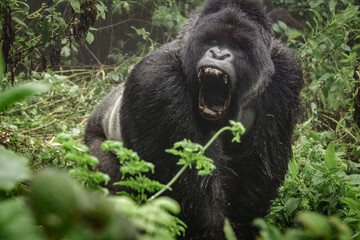 After briefing, UWA experienced ranger guide will lead you to the trail head to entre in the ancient, thick dark impenetrable forest to begin hiking the hills and slopping the valleys when looking for the unique species of the mountain gorillas inhabited in the famous Bwindi Impenetrable Forest. The trek can take you between 2-8 hours to encounter the mountain gorillas and once up close, you will be allowed to spend one magical hour with these stunning apes. During this time you can decide to sit down listen to gorilla crumble, study how these apes go about their daily activities and you can take as many photos as possible. When the one hour is done, you will retire back to the park headquarters and drive to your lodge for late Lunch, relaxation. After relaxation, you will be driven to the nearby Batwa community for memorable, refreshing cultural encounter. Here you will be guided by a local guide who will take you to the different communities to see how people have managed to survive through farming. You will see how local brew is processed from fresh Bananas and forest remedies to get beer and Waragi and also enjoy the performances done by the local Batwa women groups. After that interesting cultural encounter, you will drive back to your respective lodge for dinner and overnight. Take relaxed early morning breakfast, and embark on drive through the fascinating Kigezi Highlands for an afternoon boat cruise, relaxation, dinner and overnight in Lake Bunyonyi. Lake Bunyonyi is another fascinating tourist stopover that is undeniably amazing. It is the second deepest lake in Africa; it contains lots of the tasty crayfish, so get set for a culinary delight. On arrival to Lake Bunyonyi, you will drive to your lodge to check-in, have lunch .Thereafter, proceed to catch up with the afternoon boat cruise that will take you to explore the interesting Islands perfectly distributed in Lake Bunyonyi .You may also participate in refreshing activities such as swimming in the bilharzia free waters of Bunyonyi, or take an evening nature walks in the Bunyonyi Islands .After exploring the different adventurous activities in lake Bunyonyi, you will retire back to your lodge to chill in the fire place while enjoying cool evening of Bunyonyi, have dinner and overnight stay in the lodge of your choice. After an early morning breakfast, you will embark on drive transfer from Lake Bunyonyi to Kampala drive distance of 437 kilometers about 8-9hours drive without stopovers. The long drive will take you through the rolling hills of south western Uganda dotted with local home steads and wonderful plantations. After coving distance of 199kms, you will have stopover for Traditional Lunch at Igongo Cultural Centre .Thereafter, proceed with the drive and on your way, you will by-pass Mpigi village, famous for the Royal Drums Makers and of course the Ugandan Equator, where you will have stopover for photo shot and shop for a souvenir, water experiments. 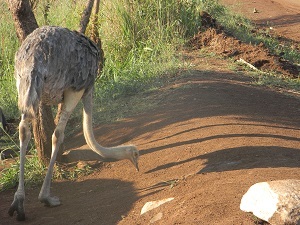 Thereafter, continue with the drive to Kampala. 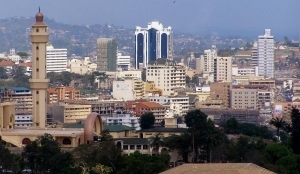 On arrival to Kampala, the driver guide will drive you direct to your lodge or Entebbe international Airport for your Scheduled flight back home. End of of the 4 Days Uganda Gorilla Trekking Tour.